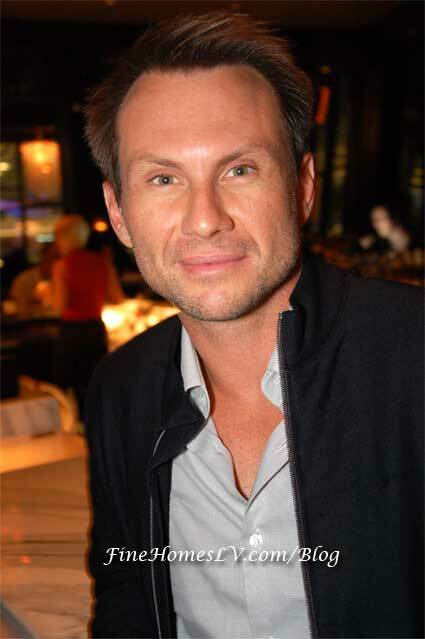 Actor Christian Slater dines at Eva Longoria Parker’s Beso Steakhouse Las Vegas celebrating a friend’s birthday on Friday, September 10, 2010. The party was presented with a custom birthday cake from Gimme Some Sugar for dessert. Slater enjoyed shrimp cocktail, Fannie Bay oysters and the blue cheese-crusted rib eye along with sides of sauteed spinach, creamed corn and Beso’s truffle mac & cheese. For dessert, the party has some custom Gimme Some Sugar cake.